In search of la dolce vita? These glorious hotels perched on ancient streets, Tuscan hills and seaside cliffs deliver it in spades. 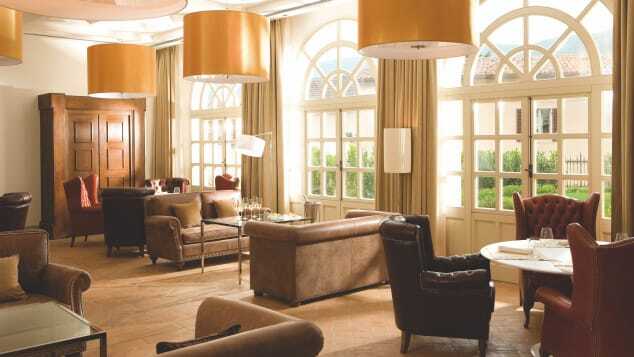 With impeccable style, attentive service and luxurious amenities, Italian hotels do travelhospitality right. If you’re looking for somewhere to stay, try these beautiful hotels in Italy. 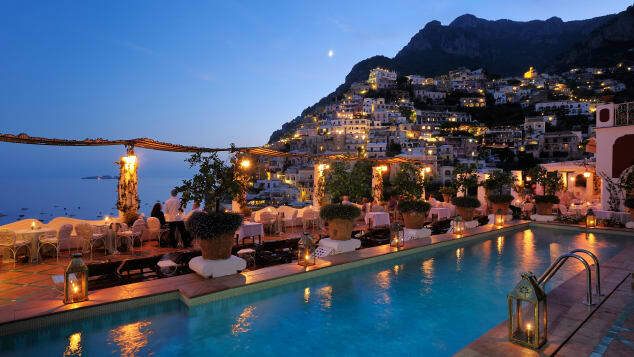 The Hotel Caruso is set at the highest point in the sun-splashed Amalfi Coast town of Ravello. The infinity pool perched high above the Tyrrhenian Sea is a showstopper, but it’s just the beginning. Staying at Hotel Caruso is to indulge in all of what makes Ravello so seductive — terraced gardens of olive trees, lemon groves and rose bushes, frescoed ceilings, ancient stone vaults, and airy, elegant rooms with four-poster beds. This 11th-century palazzo has just 50 rooms and suites, accentuating the hotel’s air of exclusivity and privacy. The Grand Hotel Excelsior offers views that soar over the Gulf of Naples. 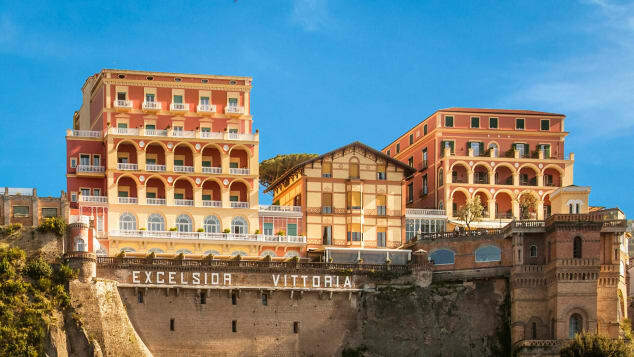 This five-star, family-run hotel dates to 1834 and is set on a prized piece of real estate where legend has it that Emperor Augustus once had his own villa. 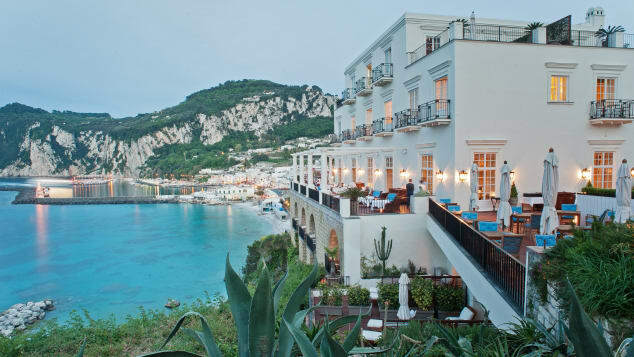 Three 19th-century buildings sit in an expansive Mediterranean garden (also home to the hotel’s white marble pool and spa), and the location offers views that soar over the Gulf of Naples. Interiors are traditional and elaborately appointed, no more so than in the Vittoria Breakfast Room. J.K. Place: Like an intimate but high-end beach house. In contrast to the over-the-top grandeur of many Amalfi Coast hotels, J.K. Place has the casual, contemporary feel of an intimate but high-end beach house. The guest rooms are studies in chic neutrals, some with dashes of coral and blue, while public spaces feature walls the color of the ocean and plenty of windows and balconies for viewing the real thing. To channel the setting’s signature beauty, guests can visit the hotel’s spa for Capri-lemon-infused treatments or enjoy sunset aperitivos on the J.K. Bar terrace. La Sireneuse is the unofficial flagship property of the entire Amalfi Coast. 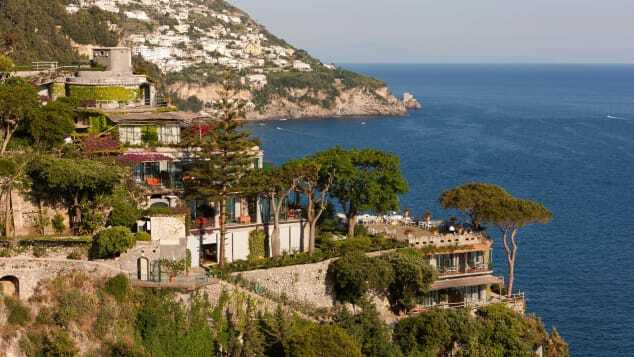 All those photos of Positano villas tucked into the cliffs above the sea? A large percentage of them are taken at Le Sirenuse, the unofficial flagship property of the entire Amalfi Coast. Accordingly, the hotel’s terraces are the best seats in the house, whether it’s the guest room private patios or the ones at Franco’s Bar, outside of the Michelin-starred La Sponda, or beside the lemon tree-lined pool. The interiors are just as photogenic, with hand-painted tiles, exquisite furnishings, tasteful art and antiques and vines that dance above domed hallways and windows. Il San Pietro comes with a private beach. Rows of orange day beds and off-white beach umbrellas line an outcropping jutting into the sea. Il San Pietro is the only hotel in Positano with direct access to a private beach. For convenience, an elevator carries guests down (and more importantly, up) the cliff face to reach the coveted spot, which also houses a solarium, bar and restaurant. Up at the hotel, rooms are crisp and cool, with tile floors and a simple but elegant aesthetic that lets the spectacular views do the talking. 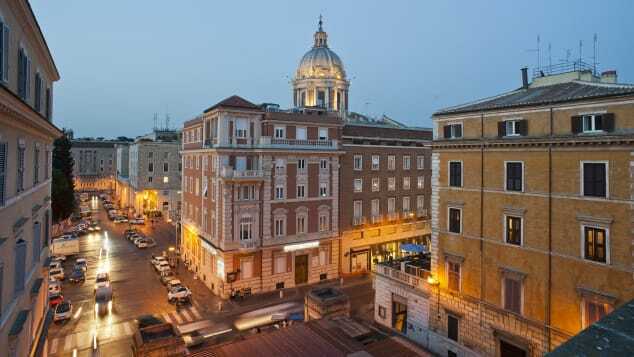 Hotel Eden has a prime location between the Spanish Steps and the Villa Borghese, with the impressive views to match. The best are found on the top floor, at La Terrazza, where the wraparound views of the city are as mouth-watering as the menu. J.K. Place Roma has rooms with four-poster canopy beds. Contemporary design is the name of the game at J.K. Place Roma, courtesy of interior designer Michele Bönan, whose love of mid-century modern furniture and bold, unexpected details are on full display. 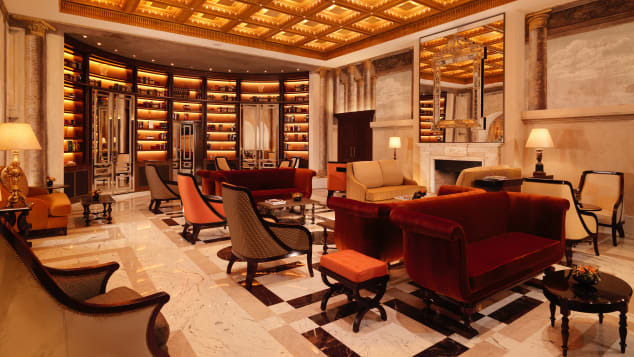 The hotel’s lobby features both classical Roman sculptures and contemporary art; a library showcases chic coffee table books, plus graphic rugs and lighting. Like many of its more traditional counterparts, the hotel’s rooms have four-poster canopy beds, but here they are set against modern teal walls and wine-hued carpets. Similar color-play and modern elements are on show at JKCafe. Four Seasons Florence has the city’s largest privately owned garden. A resort experience in the city? 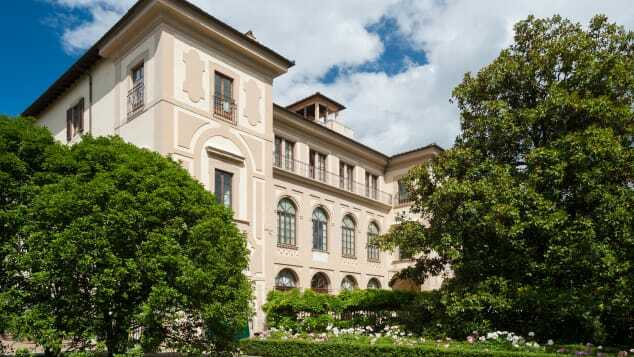 It’s possible, thanks to the Four Seasons Hotel’s setting in the 15th-century Palazzo della Gherardesca, which has the largest privately owned garden in Florence. These are no ordinary gardens — the 11 acres are dotted with ancient trees, statues, fountains and a small Ionic temple, with the modern addition of a large swimming pool. Inside, guests can experience a taste of the Florentine life, surrounded by frescoes, chandeliers and antiques, staying in rooms that range from opulent to a more sedate luxury. The Hotel Savoy offers a playful twist to classic Italian style. The beauty of The Savoy starts with its central location, overlooking the cafes of Piazza della Repubblica, and within walking distance of the Duomo, Palazzo Strozzi, the boutiques of Via Tornabuoni and the San Lorenzo market. It comes into full focus inside, where bright colors add a playful twist to classic Italian style. Contemporary art featuring shoes and hats are on display throughout the hotel and table tops at the hotel’s restaurant are set with a specially designed Pucci scarf — Emilio Pucci’s daughter, Laudemia Pucci, collaborated with Olga Polizzi on the Savoy’s design. Villa la Massa is set on the banks of the Arno River. Guests can indulge their Tuscan villa daydreams with a visit to this 41-room mansion located five miles outside of Florence. 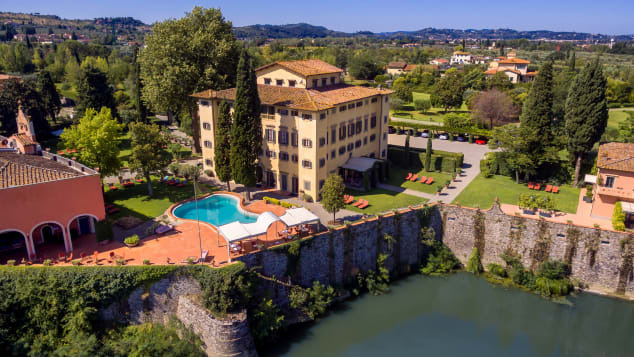 Built in the 16th century for a member of the Medici family, Villa la Massa is set on the banks of the Arno River, surrounded by lemon trees and olive groves. The recent restoration of a 19th-century farmhouse on the grounds adds Casa Colonica, featuring four new suites and a renovated kitchen, to the accommodation options. Hand-carved wood, authentic terracotta and handmade silk rugs create a rustic, upscale feeling of Tuscan warmth. 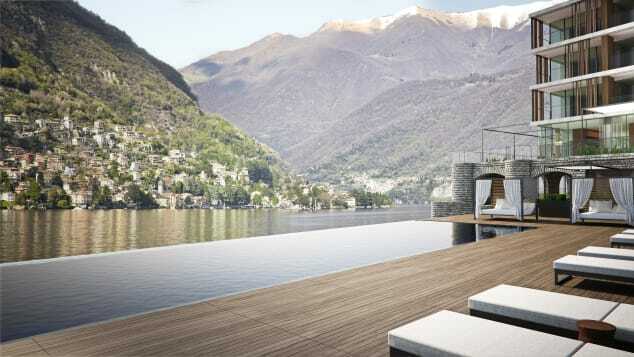 Il Sereno mixes Scandinavian and Japanese influences on the shores of Lake Como. The newest addition to the Como scene, Il Sereno eschews old-fashioned style for striking, modern design by Patricia Urquiola. Naturally, with a building cut into a cliff-face and perched over the water, the views here are out of this world, especially from the infinity pool and its loungers. Each of Il Sereno’s 30 rooms also face the lake, and offer glimpses of the hotel’s lush gardens from their furnished terraces. The interiors offer just as much eye candy, with Scandinavian and Japanese influences evident in the sleek lines and Urquiola’s inspired use of glass, wood and other materials from travertine to nautical rope. Villa D’Este is set in acres of immaculate gardens. 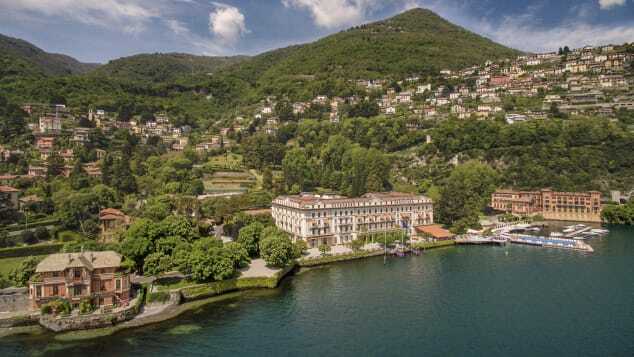 For guests who aren’t on lake home-invitation basis with Como local George Clooney, Villa D’Este provides a solid back-up fit for Hollywood royalty. The 16th-century villa is set among acres of immaculate gardens, the pool is perched on a platform atop the lake, and marble terraces provide the perfect stage for an evening negroni or Aperol spritz. The rooms are as embellished and luxurious as one would expect, but for even more exclusivity, guests can rent one of four 19th-century villas on the grounds — three in the park, and one, Villa Cima, situated right by the lake. Milan’s Mandarin Oriental is housed in four 18th-century palazzos. 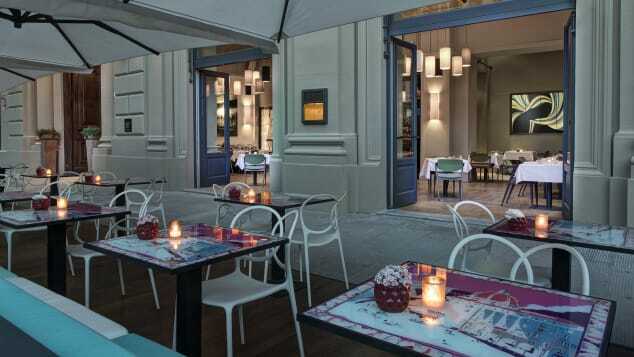 Four 18th-century palazzos house this chic urban hotel located near the shops of Via Montenapoleone and Via della Spiga, but the interiors are decidedly more modern. 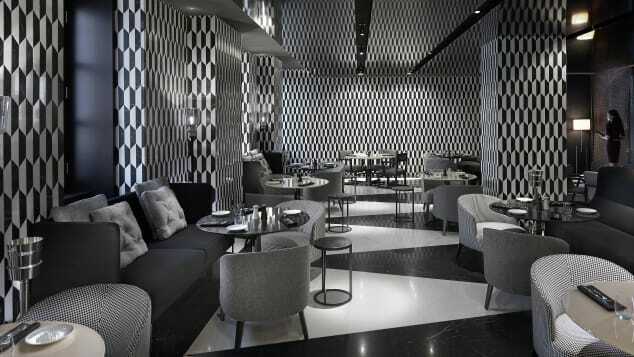 An exuberant look from studio Antonio Citterio Patricia Viel and Partners blends classic Milanese style with decorative features like the bar’s black and white marble mosaics. Bold colors are used as artful accents throughout, although the rooms and suites have a more soothing, neutral palette. Befitting the world’s epicenter of fashion design, every piece of furniture at the hotel is custom-made. The Buglari Hotel Milan is set in a 1950s building. IIt’s no surprise that a hotel with the name Bulgari is a beacon of exquisite design — again, courtesy of Antonio Citterio Patricia Viel and Partners. 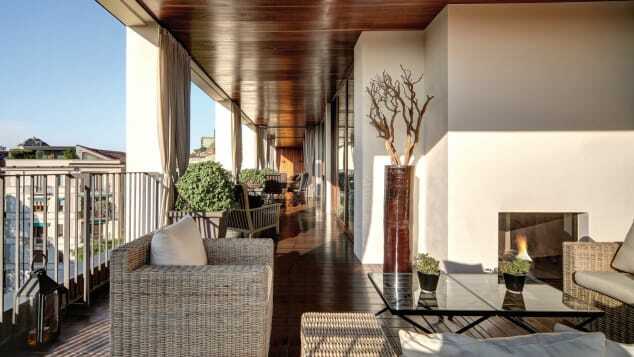 The Bulgari Hotel is set in a 1950s building in Milan’s artists’ quarter, Brera, with a large private garden. Inside, materials like marble, teak, bronze and black granite create a sleek but warm modern look and feel. Custom furnishings and cream colored linen wallpaper keep things fresh, and the walls are graced with framed sketches of iconic Bulgari jewels. Rooms overlook the gardens and the large bathrooms have dramatic black granite tubs and, naturally, Bulgari toiletries. 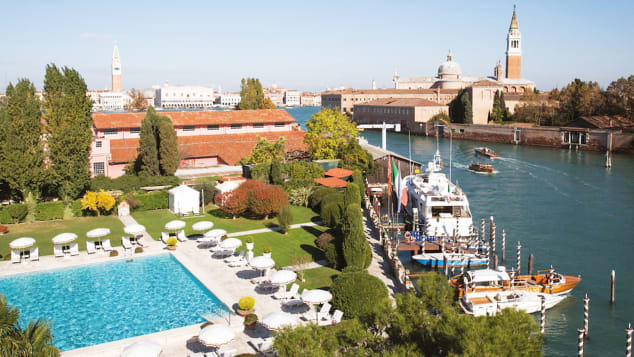 The Aman Venice has incredible views of the Grand Canal. Reviews of Italian palazzo hotels often say “it feels like you’re staying at a stylish residence.” In this case, it’s true; the Aman Venice is inside the Palazzo Papadopoli, the home of the Arrivabene family, who still live on the top floor. The rest of their family home is now a 24-room luxury hotel — part of the high-end Aman brand but distinctly Italian, with its extravagant bones and Murano chandeliers. The library and lounges are decked with tapestries and silk wallpaper, frescoes and family portraits. The rooms, however, are a serene oasis — simple, white and modern, with incredible views of the Grand Canal. The Gritti Palace has one of the best positions on the Grand Canal. 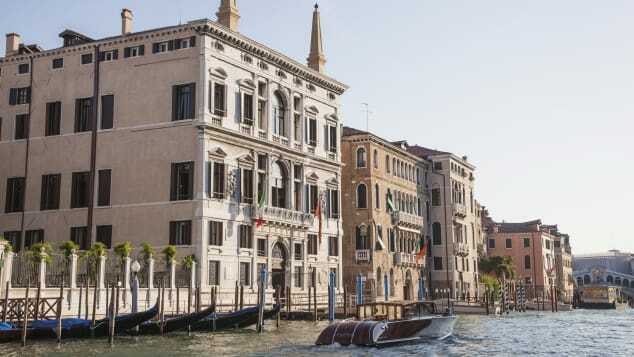 The Grand Canal is already an impressive address, but The Gritti Palace has the honor of one of the best positions on the canal, across the water from Santa Maria della Salute and the Palazzo Venier dei Leoni aka the Peggy Guggenheim Collection. The 15th-century palace went through an extensive restoration in 2013 (even the artwork was given a refresh), when modern touches were added to satisfy the tastes of modern travelers. The 82 rooms and suites remain elaborately appointed, filled with antiques and frescoes. At The Club de Doge restaurant, the Grand Canal-front terrace is the star of the show. The Cipriani sits on the island of Giudecca. Ninety-six elegant rooms and suites offer the choice of lagoon views or views of the 15-century Palazzo Vendramin next door, and each has a marble bathroom. 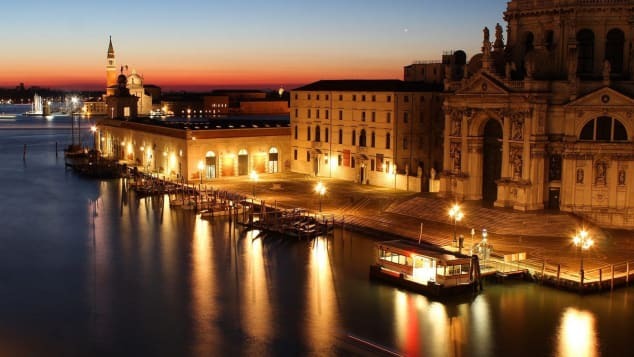 Oro, the hotel’s restaurant, serves fine dining beneath a gold-leaf ceiling, but it’s the terraces of Giudecca 10 and Cip’s Club that offer spectacular Venetian views and sunsets alongside dinner or sunset bellinis. An Olympic-sized saltwater pool lays claim to being the only pool in central Venice. 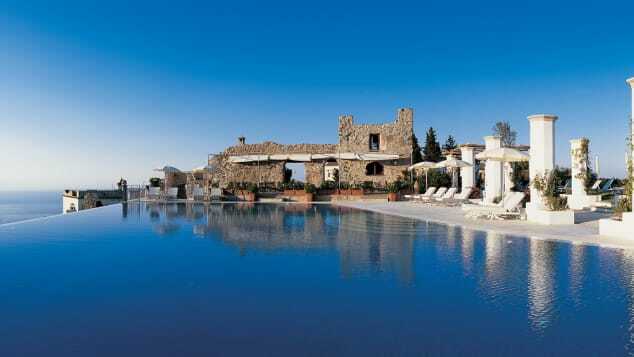 The Belmond Castello Di Casole is built from the ruins of a 10th century castle. This Tuscan resort is set on 4,200 acres, built from the ruins of a 10th-century castle and garden; artefacts from Etruscan farmers found on the grounds are now on display inside. 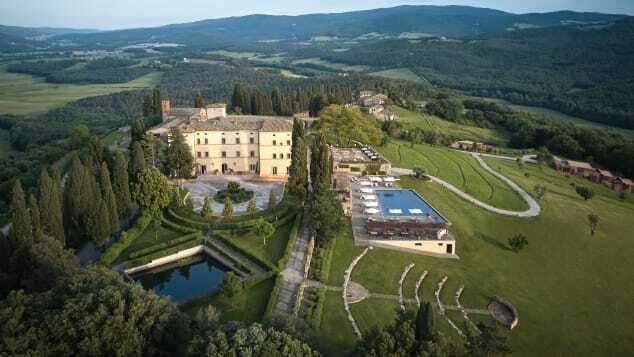 Forty minutes from Florence and 20 from Siena, Castello di Casole has 39 rooms and suites, a pool, spa, vineyard and olive grove. This is the kind of place where truffle-hunting accompanies golf on the activities menu. Rooms feature wood-beamed ceilings and stone walls, but they are paired with comfortable, modern fabrics and furnishings. Outdoors, history wins again, with an ancient amphitheater, wine cellar and chapel available for exploration. Guests at this restored country estate can choose from a room in the original 13th-century villa, suites with their own garden, and suites in the La Casa dei Fiori Bianchi Pool House. All provide a mix of antiques and art, and most also have open fireplaces. The resort has its own cooking school, a spa, and 13 acres of grounds to wander. An open-plan kitchen welcomes guests for breakfast, while Michelin-star Meo Modo restaurant serves pasta and seafood for lunch and dinner. Tables in the gardens, with views of the Serena valley, set the scene for romance. The Palazzo Seneca is located in a foodie haven. The 16th-century Palazzo Seneca is located in a foodie haven, the small town of Norcia. This area of Umbria, in the Sibylline Mountain National Park, is famous for black truffles and charcuterie. Palazzo Seneca, fittingly, has a Michelin-starred restaurant, Vespasia, and a breakfast spread served in a barn-like dining room or al fresco in the garden. The interiors feature flagstone and terracotta floors, vaulted ceilings, carved fireplaces and a mix of modern art, antiques and furnishings from Italian artisans. With 24 rooms, the hotel feels intimate and soothing — especially in the spa, located in the vaulted cellars. 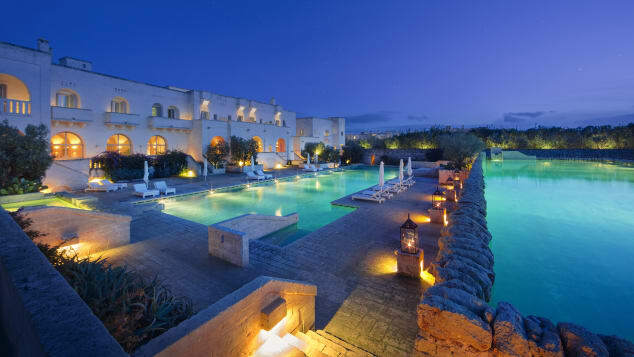 Borgo Egnazia blends traditional style with modern execution. While it doesn’t have centuries-old history like the traditional farmhouses of Puglia or the palazzos across Italy, Borgo Egnazia blends traditional style with modern execution. The sprawling grounds are dotted with olive groves and an enclosed courtyard welcomes guests into a contemporary white-stone castle. The design is romantic, from the fireplaces in the public spaces to the canopy beds in the cream-on-white guest rooms. Private terraces overlook the sea or the grounds, which includes two large pools. The spa’s extensive menu includes Roman bath rituals, and the hotel has four restaurants, including the candle- and lantern-filled Due Camini. Hotel il Pellicano offers rooms in cottages and villas. Famous for its beauty — and its beautiful clientele — since the 1960s, Il Pellicano is perched on a mountain above the sea near Porto Ercole, on the Tuscan Coast. In the style of the best kinds of hotels that began life as private compounds, the rooms here are found in cottages and villas, each with their own aesthetic designed by Il Pellicano’s host and creative director, Marie-Louise Scio. While every detail here is beautiful, Scio’s secret is that it all begins with soul. From the two restaurants and two bars to the private beach and iconic pool, Il Pellicano is full of the stuff. Palazzo Margharita’s 19th-century estate is intimate but palatial. 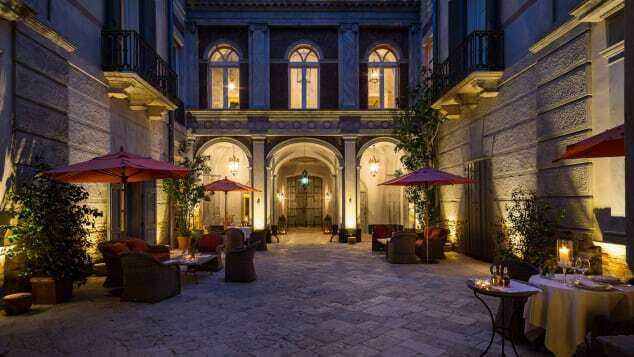 Palazzo Margherita is located in Bernalda — the birthplace of director Francis Ford Coppola, the hotel’s proprietor. The 19th-century estate is intimate but palatial, with lush gardens, salons and terraces designed for conviviality. Suites are designed in the vein of an Italian country home with hints of Parisian style. Four of the nine suites are named for members of the Coppola family. A large eat-in kitchen invites guests to learn how to cook the regional cuisine and three bars provide laid-back spots for aperitivos. In a twist that will surprise no one, the hotel has a screening room and lineup of Italian classics hand-picked by the director. The Belmond Grand Timeo is set on a mountain. With a setting on a mountain — Mount Tauro — and views of a mountain — Mount Etna — Grand Hotel Timeo is one of the grandest hotels in Sicily, with an ancient Greek theater as its next-door neighbor. 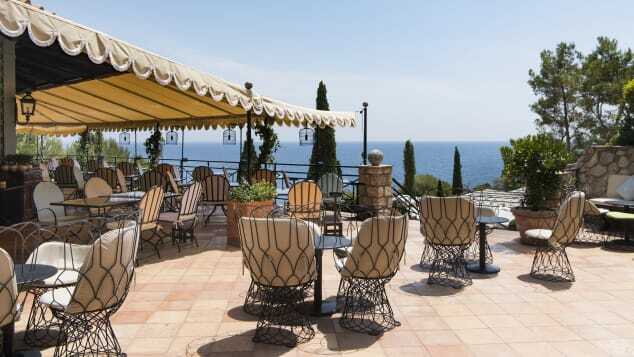 Most of the hotel’s 71 rooms and suites overlook medieval rooftops or offer glimpses of the sea. 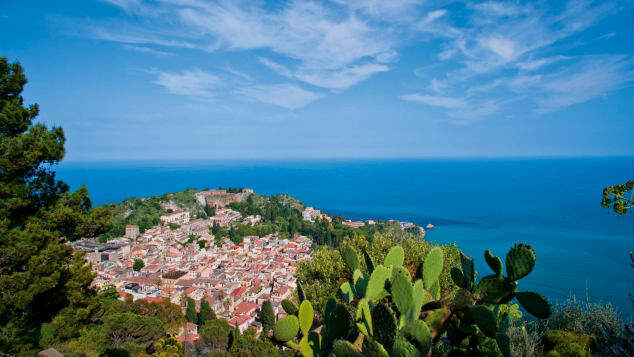 Timeo Restaurant serves Sicilian favorites but The Literary Terrace & Bar woos the hardest with jaw-dropping views of the Bay of Taormina and Mount Etna. An intimate spa, the Wellness Centre, is situated in Hotel Timeo’s gardens. 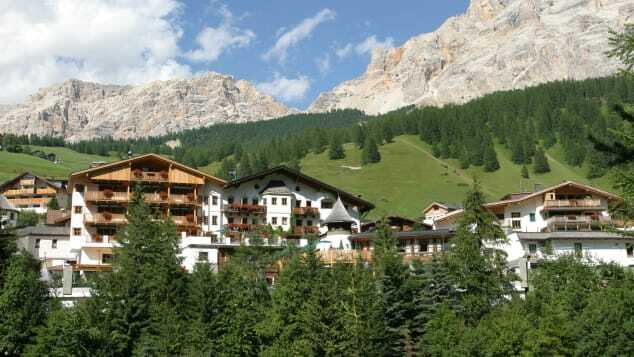 Rosa Alpina is situated in a ski resort in the Dolomites. Why choose a hotel with just one spa when you can stay in one with two? There’s a health bent at Rosa Alpina, located in the village of San Cassiano, Alta Badia — a ski resort in northern Italy’s Dolomites. Even in the summer, guests are encourage to hike and bike and climb the surrounding peaks. The second spa is an adults-only wellness wing with an indoor pool, Finnish sauna, bio sauna, hammam, cold plunge pool, gym and relaxation area. The Michelin-starred restaurant, St. Hubertus is all about haute cuisine, however, and guests can also indulge in lavish breakfast spreads and wood-fired pizza.